The 9.-11. September I have been participating in OR50 – The UK OR Society’s 50’th conference in York. The conference was held at the University of York’s beautiful lakeside campus. I gave a talk in the agricultural stream about ‘Optimal replacement policies for dairy cows based on daily yield measurements’. 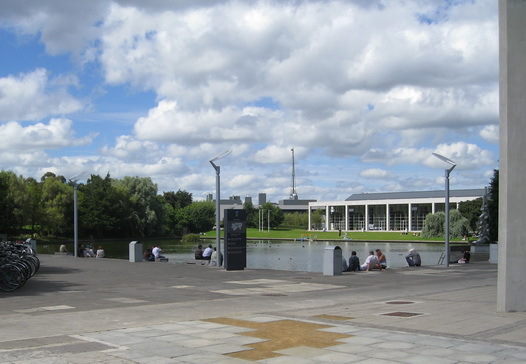 July 14-18, 2008 I participated in IBC – the XXIVth International Biometric Conference in Dublin. Here I presented a poster “Embedding a State Space Model into a Markov Decision Process”. Afterwards I spend a few days enjoying Dublin. Yesterday I participated in a theme day about Herd Navigator which is the commercial product developed under the Biosens I project. Herd Navigator makes it possible to provide decision support of individual cows in terms of reproduction, health and feeding, giving the farmer a financial benefit per cow per year. The herd manager gains a better overview of the condition of the herd and can take action early against diseases and at the right time for reproduction. Earlier intervention means savings in time and costs and also ensures optimal reproduction control. The product uses a combination of biosensors, IT, statistics and OR techniques. The product won the Agromek prize. The partners are Dansk Kvæg, DeLaval and FOSS. July 8-11, 2007 I participated in EURO XXII in Prague. Here I gave a talk “Embedding Dynamic Statistic Prediction (DSP) Models into a Markov Decision Process (MDP)”. Afterwards I spend a few days enjoying Prague. The Nordic-Baltic Biometric Conference 2007 (NBBC07) is the first conference arranged by the Nordic Regional and Baltic National Biometric Societies. The conferences aim at to supplement the series arranged by the International Biometric Society and are held in order to strengthen the collaborative efforts of the Nordic researchers interested in biometry and statistics in general. NBBC07 is hosted by the Research Unit of Statistics and Decision Analysis, Department of Genetics and Biotechnology, Faculty of Agricultural Sciences, University of Aarhus situated at Research Centre Foulum. For more information see the conference web-site. July 2-5, 2006 I have participated in EURO XXI in Iceland. Here I gave a talk about finding the K best policies in a Markon decision process. The 12-14’th of June I have participated in MOPGP06 — the 7th International Conference devoted to Multi-Objective Programming and Goal Programming. I gave a talk about bicriterion a priori route choice i stochastic time-dependent networks. The 6-9th September 2005 I am participating in the annual conference of the Italian Operations Research Society. I am giving a talk with the title “A hypergraph model for a finite–horizon Markov decision process”. Modelling MDPs using directed hypergraphs. A conference proceeding is avaiable under publications.